Ancient Murom is located on the left Bank of the Oka river on the border of Vladimir and Nizhny Novgorod regions. In the churches of this town relics of saints – patrons of family happiness, love and prosperity. Faith in the miraculous power of relics in Moore attracts pilgrims from different corners of Russia. Here are buried the relics of saints Peter and Fevronia. History has preserved a tradition about the love of the Murom Prince and a simple girl who cured him from a serious illness. They had to endure persecutions and tribulations, before this pair stood at the head of the city and has earned the love and respect of the people. In old age Peter and Fevroniya took monastic vows and bury them together. According to legend, they died at the same time, on 8 July 1228, and the story of their lives gave rise to gnomic phrase: "Lived happily and died in one day." Opposite the Holy Trinity is another main attraction of the city - men's Annunciation monastery. It was founded by Ivan the Terrible after the capture of Kazan in 1552, the burial place of Constantine and his family, also canonized for spreading Christianity in Murom land. At the intersection of the main streets of the city of Murom is located the Church of the ascension. This temple, founded in the 16th century, in the post-revolutionary period was partly dismantled and rebuilt into a school. Only in the last two decades, restoration work, helped to return the Church its original appearance. Krasnovodskaya Church a few years ago was rebuilt on the site where in the 12th century was a convent. Several centuries later there was built a Church, which existed before the Soviet period. At all times Krasnovodskaya the Church enjoyed the special attention of the Moscow princes, exempt coming from many state taxes. Glorified the ancient city another epic character – Ilya Muromets. Not everyone knows that this is a real historical hero who fought for the Rus and the Orthodox faith. For his exploits he was canonized by the Church. His relics are kept in the Kyiv-Pechersk Lavra, but the piece was transported in Murom to venerate the Shrine in the Holy Transfiguration monastery. In the city Park, the hero of epics and tales Ilya Muromets in a symbolic place on the Oka river embankment is a monument - just where in ancient times was the border of the Russian land. Murom was the life of St. Juliana Lazarevskaya, which is also considered the patroness of the family. She and her husband lived happily ever after in love and harmony, gave birth to many children. All thoughts and actions Juliana was devoted to works of charity, assistance to widows and orphans. 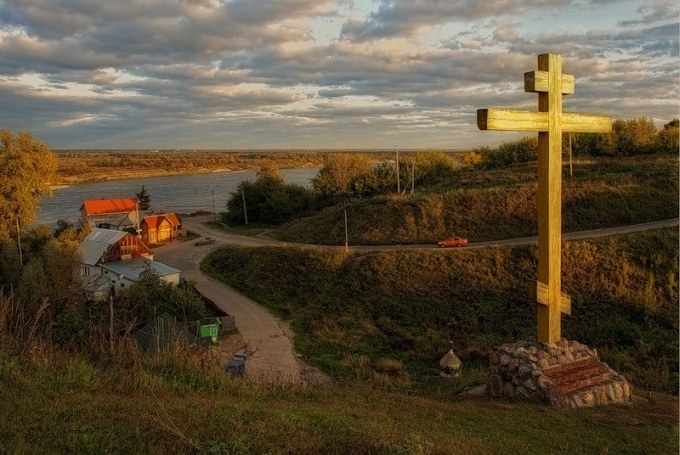 To worship this Holy in Murom Nikolo-Quay Church, located on the banks of the Oka river.